What if my accreditation application is rejected? Is there an appeal process? Yes. Applicants who do not succeed the first time are allowed to re-apply. The Appeal Committee will review the application. What happens after I am accredited? Accredited professionals are allowed to use the “APR” suffix after their designation. This, they will hold for two-years, while obtaining 20 CPD points within the time span, in order to qualify for re-accreditation. What is the cost of Accreditation? The cost for IPRM members would only comprise of the RM 200 accreditation fees (for two years), RM 100 administrative fees and RM 200 examination fees. For non-members, an extra RM 200 will be charged for application of the membership fees (RM 100) and annual subscription fees (RM 100). What if I’m not from Klang Valley, how do I submit my Accreditation project report? You can record your work onto a CD-ROM and send it to the IPRM Secretariat. Alternatively contact any of the IPRM EXCO or your local IPRM chapter for details. What are the areas covered in the Accreditation examinations? While application can be any time of the year, the Accreditation process is flexible. However tests are generally conducted during the months of May and November each year, to ensure that accreditation process is completed by June and December. Institute of Public Relations Malaysia, Aras 10, Kompleks Kementerian Penerangan, Komunikasi & Kebudayaan, No. 49, Persiaran Perdana, Presint 4, 62100 Putrajaya. Payments can be made through cash (in-person only), cheque or postal order, or electronically transacted. “Institute of Public Relations Malaysia”, CIMB Account: 1444 0000 286050 (plse include an email note). What does “Professional” mean in the Accreditation programme? Requires specialised educational preparation to acquire skills and knowledge which are based on well-researched theories. Practitioners provide one-of-a-kind services which are recognised by the masses. Social responsibility and public service are upheld over other interests. Practitioners bear personal responsibility for their actions and strategic decisions. Adopts self-governing practice, normally by an association of colleagues, by abiding to code of ethics or standard of performance. The “Professional” standard that is attained through the IPRM accreditation process will be based on the above principles. Public Relations practitioners or Consultants who have between 3-5 years of fulltime experience in the area of Public Relations andSenior Consultants/Managers who have more than eight years of full-time experience in PR. Applicants must be members of IPRM. The Accreditation Board, which comprises of three teams: Interview Panel, Education Board and Appeal Committee. Members of the Accreditation Board are appointed by the IPRM Executive Council (EXCO). Each team will follow through the procedures for each applicant to ensure consistency. The Board is also in-charge of approving written exam questions, grading of the papers, and reviewing appeal cases. Why should I apply for accreditation? An Accredited Public Relations Professional reflects that the individual has demonstrated broad PR knowledge, experience and professional judgement in the field. 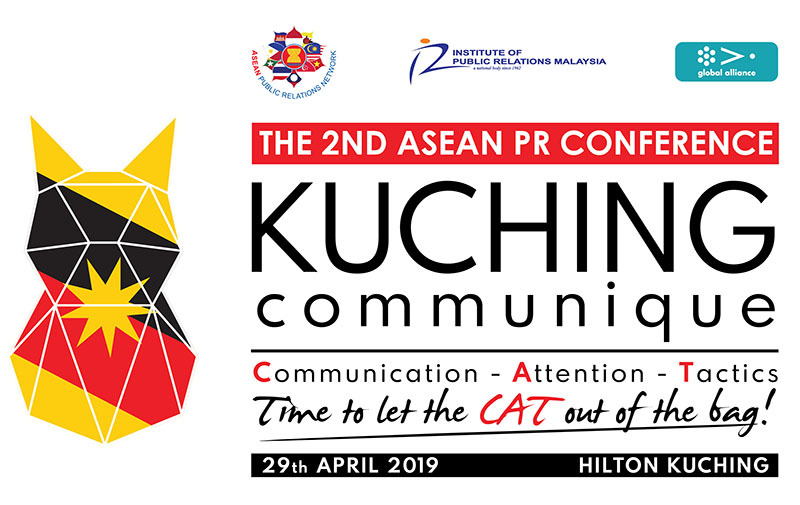 The Accreditation programme will raise the level of professionalism of PR in Malaysia. The Council may confer Fellowship upon members in recognition of outstanding Public Relations work either within or outside the Institute. Nominations for Fellowships may also be considered by the Council when made by at least two Fellows. No members shall be elected to Fellowship unless two third of the total membership of the Council vote in favor of such election. Citizens of Malaysia and / persons normally resident in Malaysia who have passed the Diploma Examination as decided by the Council or which, in the opinion of the Council; would constitute its equivalent examination and have at least one year’s comprehensive experience in the practice of public relations as defined by the Council. Members shall be entitled to use the letters ‘MIPR’ with their name and to exercise full voting rights in the affairs of the Institute. Citizens of Malaysia and/or persons normally resident in Malaysia who, for a minimum period of one year, have been professionally engaged in Public Relations at the time of their application and whose application is acceptable to the Council. Associate Member shall be entitled to use the initials ‘AMIPR’ with their name and to exercise full voting rights in the affairs of the Institute. Citizens of Malaysia and / or persons normally resident in Malaysia who is associated with or interested in the practice of public relations and whose application is acceptable to the Council. Such persons shall not be entitled to put any letters or description after their name or to vote in the affairs of the Institute. Citizen of Malaysia and/ or persons normally resident in Malaysia who is above the age of 18 and pursuing a course of study in an Institute of higher learning in the country who is interested in the practice of Public Relations as a future career. This category of member shall not be entitled to put any letters or description after their name or vote in the affairs of the Institute. In special circumstances, the Council shall be empowered to confer Honorary Membership upon a person(s) from within or outside the Institute, in recognition of outstanding services to the profession. Nominations for Honorary Membership shall be considered, provided they are made by at least two Fellows or Members, one of whom shall be a member of the Council. No person shall be elected to Honorary Membership unless at least two third of the full Council vote in favour of such election. Open to all corporate bodies or associations having a headquarters or registered office in Malaysia whose application of membership are acceptable to the Council. Corporate Member shall be entitled to Corporate Membership Certificate and to use the ordinary facilities of the Institute.